Ever thought of earning extra money by selling your house plans online? In this interview I talk with an architect who does it. Gregory La Vardera is a sole practitioner who runs a modern design architecture firm in New Jersey, just outside of Philadelphia. Greg is known for his innovative designs, including his modern home plan catalog, steel shipping box home designs, and the work of his architectural firm. I drew a set of house plans,then built the house for myself. After drawing the plans I turned them over to a firm to convert them to specs. I continued with the project of building the house. on front and back.Complete with balcony off upstairs. The inside including ceilling is made of various tounge & grove using cedar,cyprus and stained pine.Even the bathroom is walled with cedar. This is a one of a kind design. Hello Donald, thanks for visiting the blog. Great hearing about your home. We just designed and built a handicap accessible ranch, just under 3000 SF. How would I go about selling the plans? Hi Enoch, my name is Donna Carte. I have a home design I would like to sell. Many years this came to me in a vision, and I am finely ready to do something with this design. Please help. Very useful interview .. Enoch we need more on this subject please. Hy… I am a young student who is very ambitious and creative and I think it’s time we bring a little twist of innovation to buildings, so I would love to sell some of my designs if you find them nice.. looking forward to an email notification. Lovely interview Enoch with Architect Gregory La Vardera. 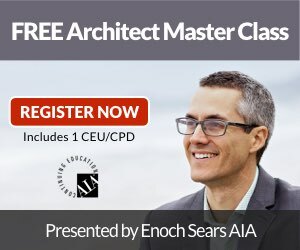 I noticed him first on houseplans.com and was inspired then, but really this interview if very helpful. Currently I have an Indian version of selling house plans online called homeplansindia.com I would love to hear what he thinks about it. I have a very nice architectural plan that might be suitable for a HOTEL BUILDING or any other use.so I will be glad if you can e-mail me so we can talk about it.For I want to sell it. I’m trying helpban elderly family friend sell house plans his deceased wife designed during her career as an architect. There are approximately 5000 designs and plans. Any input on how to go about doing this I would greatly appreciate. I have a really great steel shipping box home design that I would like to speak to someone about getting my design put together to be sold. How do I do that? Why work for a boss when you can sell directly to the public? Please, I have some Plans to sell and I have not been able to get a link from here. Can you help give me a lead to sell my Plans? Not so long ago, the best home designs in the United States were based on their local climate, crafted from materials that were nearby, and utilized time-tested building techniques. Very interesting part of Gregory’s podcast regarding the Swedish construction and business model of building. We need to learn that model here or something like that maybe. Fascinating in so many ways. Really interesting insights into the house-plan business. Particularly interesting discussion around factory building high performance houses & learning from Sweden. In the UK we (www.architype.co.uk) are building to the Passivhaus (Passive House) standard using similar assemblies to what Greg describes as Swedish assemblies, and we insulate them with blown cellulose insulation. Elrond, thanks for the insightful comment. I’ve heard that the Passivhaus standard is quite restrictive. Is it a good thing? Passivhaus is a very rigorous and stringent performance standard. Whether or not that is a good thing depends on how you view performance constraints I guess. They can be seen as a challenge to hone your design skills on, which is how we see it, or as something restrictive in the way of your design process! Great interview! I have been interested in developing plans for high performance homes and really enjoyed listening to the last 15 minutes or so of the interview on that very subject.